Sure to be the life of the party, this festive bauble by designer Bettina Nissen keeps a pint-sized candle on hand for spontaneous celebrations. 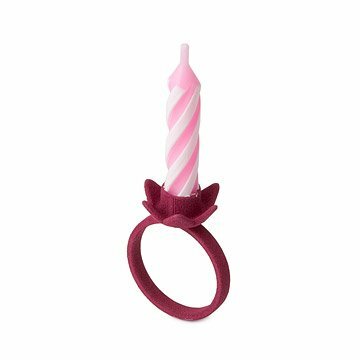 A sweet spin on accessorizing, Nissen gives new light to birthday candles by transforming nylon holders into rings that top off your night with whimsy. Available in size 6, 7 and 8. Made in Holland. Click here to see how to measure your ring size and for the Ring Sizing Guide.